You may need to use that warranty. This is a device that offers a fantastic price and an easy-to-use design. It works to diagnose a wide range of vehicles so that you can locate and solve problems without need for a mechanic. On top of that, it can clear out codes that aren't helpful. For the price this device comes at, it's difficult to find better! This device has a really professional look about it. The black and orange casing gives a rugged and solid look while the rubber on the sides gives the device protection and grip. If this scanner should ever fall from your hands, then the casing will protect it. The screen is small but powerful but the display is crisp and clear. The buttons on the bottom half of the device have also been set out intuitively with the directional buttons placed around the enter button. There are more buttons on this than other devices, but they are well spaced and clear. This scanner connects to your vehicle through a cable. The cable is not connected on the scanner side like some others are so you can remove the cable completely from the device for easy storage. The scanner is also powered through the connection to your engine. 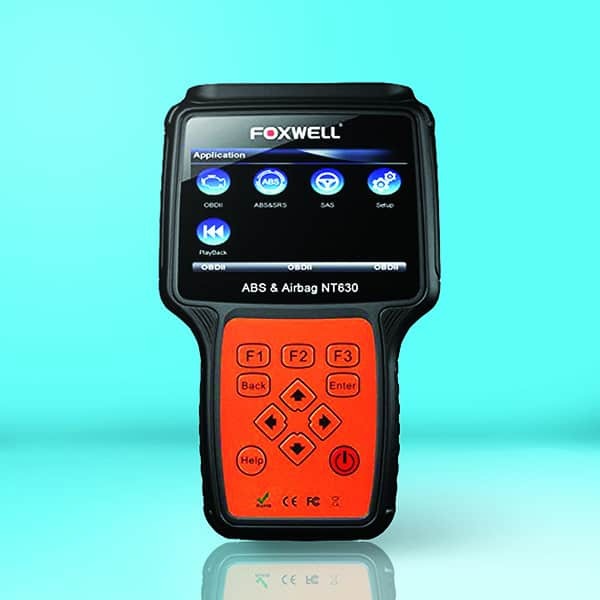 The Foxwell NT630 is compatible with a wide range of vehicles. American vehicles from 1996-2016 are supported, as are Asian vehicles from 2001-2016, European vehicles from 2003-2016, and has extra support for some Italian and French vehicles. This scanner can read and clear codes. You can also use it to turn off the air braking system and airbag warning lights. You can also use this scanner to control and activate both of those systems. You can view live sensor data for your vehicle and have this data displayed to you in graphical, chart, or text forms. You also have access to common OBD2 test modes and can check the I/M readiness, live data, onboard tests, monitors, and much more. You also have some OBD1 compatibility with many cars, minivans, trucks, and SUVs. The scanner supports both English and Spanish. The 480 x 272 color display screen is backlit for easier reading of codes. Not only that, but the navigation is clear and intuitive, with icons and text representing each section. This helps you to navigate through the menus with ease and is especially helpful for novice users. ​All of the software is updatable. To do this, you have to first download the NT app onto your home computer. Once you connect your device to your computer and hold the “Help” button for five seconds, the updates will begin. This future proofs your device. New car models and codes may be released, but the software updates will keep your device relevant. The live data graphs and tables allow you to look for any data from your vehicle which is out of the ordinary. This is a great benefit for professional users who know what to look for and can use them to diagnose a problem and find the root cause of the problem. The code troubleshooters are a handy addition for novices and professionals alike. The scanner will give you some reasons as to why your car may have a fault and recommend fixes to you. This helps both novices and professionals to diagnose a problem and fix it themselves. This scanner is not compatible with Mac systems. If you are looking to update the device or transfer data to a home computer to analyze later, then you will not be able to do so with a Mac. There is no inbuilt power source. 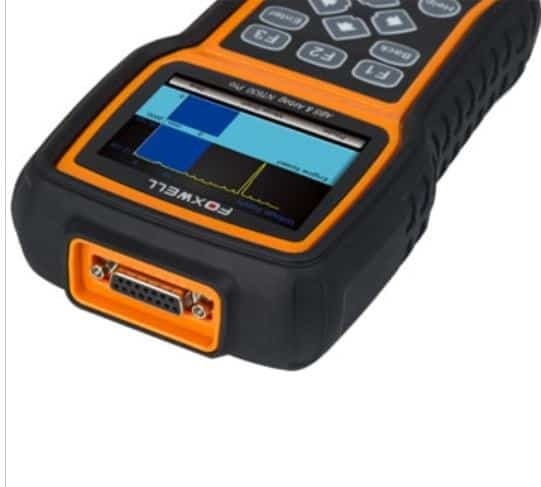 The power comes from your connection to the engine, but if that power source should fail, then the scanner will stop recording live data, and you may have to start the entire scan from the beginning. There is no programming available. You can clear engine codes, but you cannot program your vehicle systems or change the settings. Reported cases of unit crashing and having to use the warranty to get a new unit. 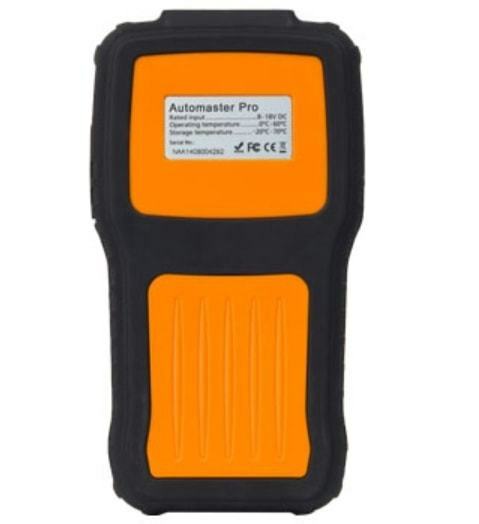 This is a great scanner for scanning all types of vehicles and in all settings. It does not boast the enhanced functionality of some other devices, but it still does enough to warrant a place in your garage. One of the best things about this device is the affordable price. 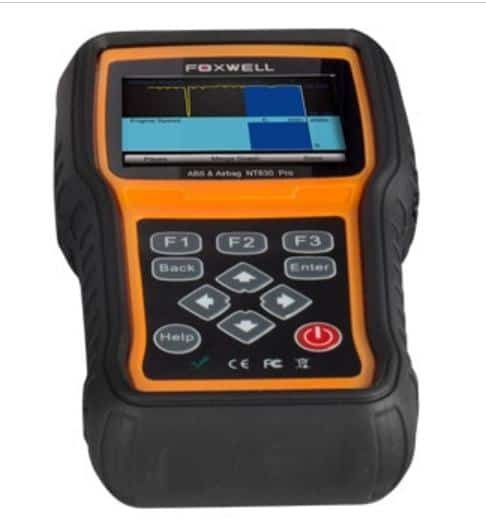 This is a device which will not cost you a lot and will even save you money on your diagnostics.